The basis of the PBS American Experience documentary Stonewall Uprising. 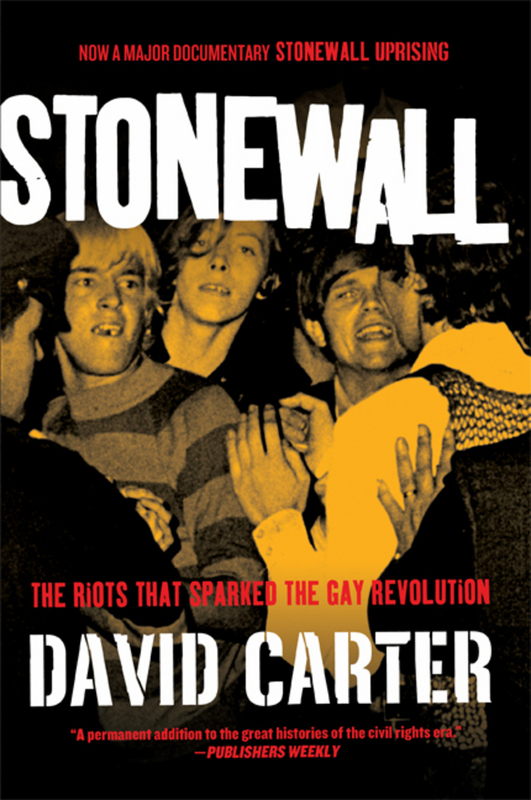 In 1969, a series of riots over police action against The Stonewall Inn, a gay bar in New York City's Greenwich Village, changed the longtime landscape of the homosexual in society literally overnight. Since then the event itself has become the stuff of legend, with relatively little hard information available on the riots themselves. Now, based on hundreds of interviews, an exhaustive search of public and previously sealed files, and over a decade of intensive research into the history and the topic, Stonewall: The Riots That Sparked the Gay Revolution brings this singular event to vivid life in this, the definitive story of one of history's most singular events. David Carter has had a varied career as a writer, editor, and filmmaker. He is the author of biographies of Salvador Dali and George Santayana, he edited and compiled Spontaneous Mind, a collection of interviews with Allen Ginsberg, and directed the film Meher Baba in Italy for Peter Townshend. Carter has a B.A. from Emory University and an M.A. from the University of Wisconsin. He lives in Greenwich Village in New York City.